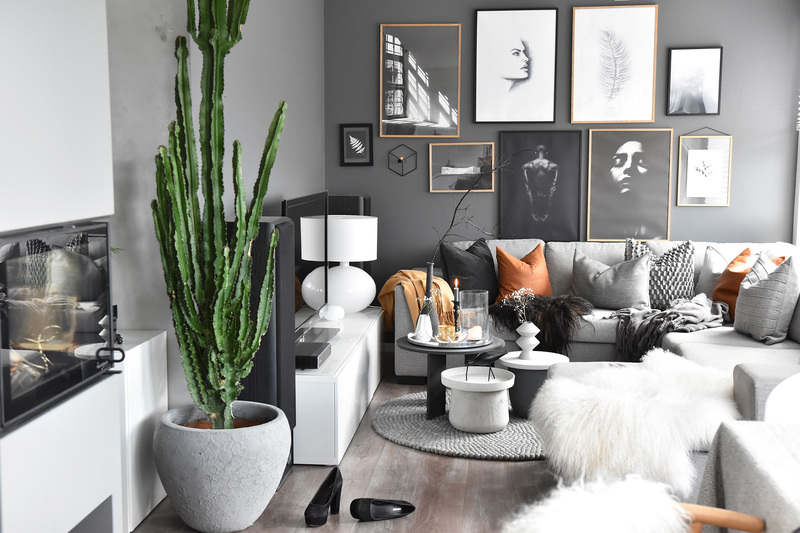 Getting it right with your home decorations at the first attempt, and you will always have to move things, remove some and add some to get your most desired look for your room. To make it a little less tiresome and less time-consuming, consider using the following decoration tips to your house to get the perfect look. Many people do not give enough significance to houseplants, which should not be the case. Though very simple, houseplants are worthy additions to any room they are placed and will immediately add life to any room they are placed. If you want a big and leafy plant, you can go for Fiddle Leaf Fig or Monstera. However, if you fancy the small and elegant plants, then you should find cactus, philodendron or other small leaf houseplants. As simple as it sounds, it is significant in giving your house a classy and flair appearance. If you want to confirm that, think of that time you left your books and magazines all scattered and disorganized in the bookcase, yet the rest of the room was well arranged. Did you feel satisfied with the room? You can also decide to add some accessories to the bookshelf to add some sophistication. Curtains are the other things that have a significant impact on the room and your choice of which one to use will determine which look you create for your room. Most people only concentrate on the color theme which should not be the case. Besides the colors, the design should also matter, if your interior design is traditional, and so should your curtains. However, if you have a modern interior design, then your curtains should have a notch of contemporary style. You can also decide to use curtain panels instead of rollers or blinds; they give an impression that you have it together. Decorative pillows instantly give a perfect finishing to the whole look of your room. While choosing the throw pillows to use, you should consider the colors, and just like the curtains, you should also look at the type of interior design your room has. Besides, the throw pillows can help hide that ugly stain on the couch or the torn part. Wallpapers are also great additions to the room. Depending on what your taste or interest is, you can hang arty paintings or use patterned wallpapers. You can go an extra mile and use the 3-D wallpapers to add more class and whimsy to your room. Dust and other dirt residue prevent the floor from glowing. The effect is even worse if you decide to wipe the floor without getting rid of the dust. For this reason, you should always sweep first before mopping to get a perfectly shining floor. While sweeping ensure what you are using will not damage the floor finishing; you can use a dust mop. To give your floor the perfect glow, there are steps that you need to follow. The first one as said, is to sweep or dust the floor, secondly is to mop it, then the last step is to buff the floor. You can use a floor buffer or microfiber cloth; either of which will give you perfect results and your floor will glow. The finishing that is used on the hardwood that gives it the glow is not permanent. Therefore, depending on the traffic on the floor, the finishing will slowly wear out, and when it does, the floor will hardly shine. 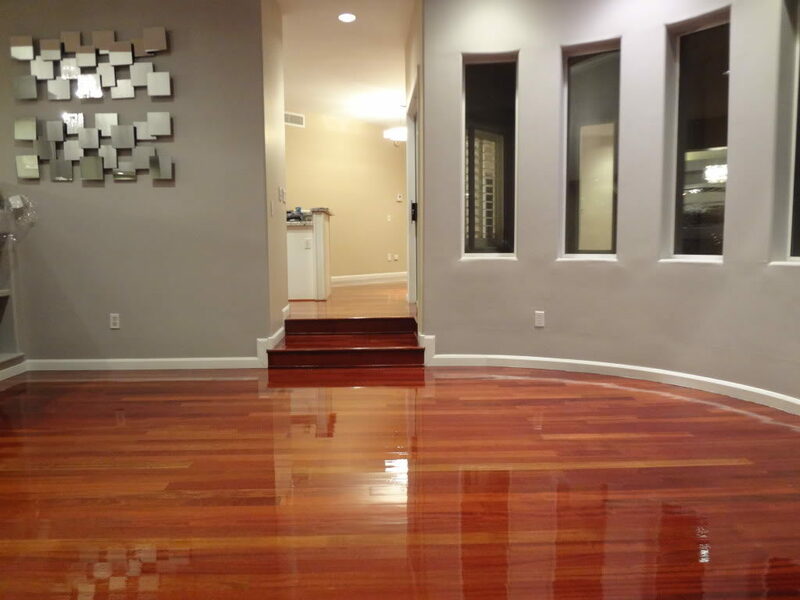 So, if you have been trying to keep your floor shiny, to no avail, then the finishing might be worn, and therefore, you should consider refinishing it. Even though waxing is essential and it preserves the floor, too much of it will give undesired results. Frequent waxing of the floor dulls the wood’s finishing, making it hard to get it to shine. If you have to wax your floor then do it ones a year, or if too much then twice. However, if you are used to frequent waxing and the damage is already done, you can use commercial products or simply vinegar, to strip off the wax. Shoes quicken the wearing off the hardwood finishing, and the more the finishing wears out, the less easier it becomes to make it shine. For this reason, you can avoid walking on the floor with shoes. Set a shoe rack by the door and make your kids or friends place their shoes there instead of getting in the house with them. Small spaces can sometimes be hard to manage, and you might end up having piles of stuff in the middle of the room with completely no idea of where you will place them. However, with orderly arranging tips and some strategic buys, you can get the most out of the small space in your bedroom and end up having some extra space. Below are some of the tips you can consider when trying to arrange your small bedroom. Thanks to innovation, today there are convertible sleepers. There are also beds that can be used as desks during the day and for sleeping during the night. Taking advantage of these significant innovations will help you save a lot of space in your bedroom. If you have a small bedroom, then all your buys have to be strategic. Therefore, when you are making a purchasing decision of a bed, you should consider one that has enough space underneath. This space will help with storing the extra stuff for which you do not have storage space. However, you should always be selective of what you put under the bed, lest you will not have a restful sleep. All the stuff that goes under the bed should be clean and not prone to go bad. If they are shoes, make sure you wash them well, and they are not smelly at all. The stuff should also well be arranged. Unless not allowed by the landlord, then you should fix some shelves on the wall to help you keep some books that you regularly read before going to bed or some accessories. This will not take up any space, and therefore you will have stored some of your stuff without using up any space. The first thing you have to learn to be if you have a small bedroom is organized. When you are organized, you will be able to arrange stuff and fit them perfectly in a space they would not have fit had you not been orderly. Ensure that your drawers are well organized with labels preferably, to save you from all the hassles of trying to find stuff around the fixed room. Your shoes and suitcases should also always remain organized and well arranged. In as much as big beds with footboards look sophisticated and gives the room an expensive look, when you have a small place you will have to forgo that. However little space you can save will help you fit all your stuff perfectly. For this reason, you will be forced to have a small and convenient bed with maybe just a headboard. Your dressing table should also be just enough and not too big to take up space that can be used for something else. Alternatively, instead of having a separate mirror and separate dressing table, you can buy one that has both of them together. While this may sound contrary to the idea of saving space, mirrors help magnify small rooms, and body-length mirrors are best at that. Carpets are actually more important than we may think. Besides being a home décor, carpets also act as sound blockers, they are soft and prevent the chills which you get whenever you step on a cold floor especially in the morning. So, are you having trouble deciding which type of carpet you should have for your house? This article discusses the major types of carpets basing on how and what they are made of, and which places they are best used in. Tufted carpets are made by inserting tufts of yarns through a fabric backing using a tufting machine. The construction of tufted carpets is not very advanced, and therefore its shedding off is very easy and quick. For this reason, tufted carpets are best used in parts of the house where there is less traffic. These carpets are usually very cheap since their production is quick and they are not very durable. Woven carpets, just as the name suggests are woven from coir, jute, coconut wood sisal or wool. Their production process is usually very demanding and time-consuming, but the outcome is generally worth it, and they give the room a majestic look. You can use woven carpets in your bedroom or in the living room to get a classy and sophisticated look. Because of their high durability and their high-end quality, woven carpets are pretty expensive. 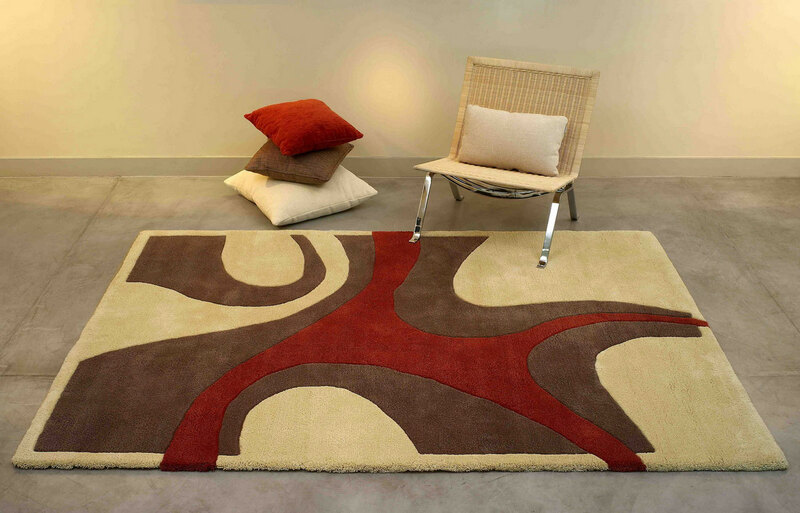 Most, if not all hooked rugs are usually hand-made and they are very simple and so is their production process. Usually, hooked carpets have some regular patterns or art form, and if you love art, then you can use them on the wall or on some part of the floor to bring out a sense of creativity. These carpets are made by pulling cotton or wool strings through meshes of a strong fabric.Because of their less detailed production process, the carpets are less expensive, and they are not very durable. Compared to other carpets, this is the most expensive. This is because of its technological manufacturing process. It is made based on electrostatic attraction between fibers that join together to create a perfect looking carpet. You can use this carpet in your classy living room to create an exotic look. Also, this type of carpet is, most of the time used in hotels or restaurants. It is highly durable and high quality hence very expensive, but worth it. 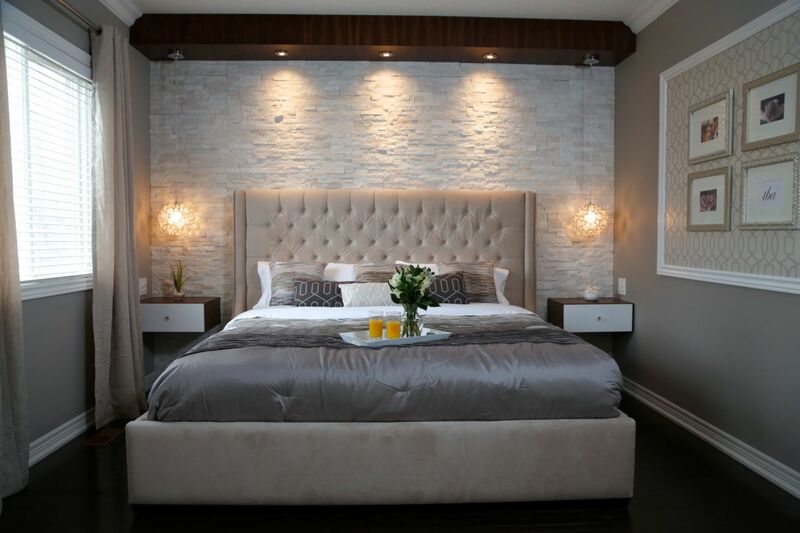 Whether in the living room or bedroom, lighting brings every other decoration in the room to life. 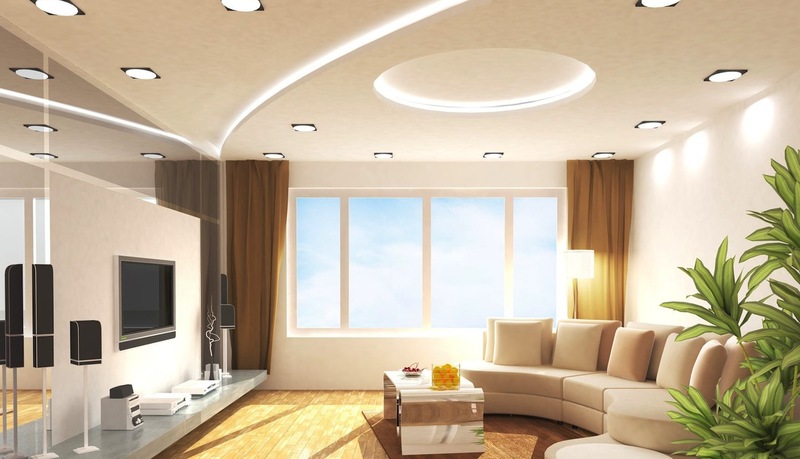 There is no point in having any decorative piece in a room if the lighting is not perfect. Your rooms need to be lit up properly. Lighting pieces add up as decorative pieces as well. Sometimes the light is needed to create a great ambiance or mood. You need different kinds of lighting devices for different purposes. Having a variety of lighting pieces in a room will ensure you always have the perfect lighting conditions as you need them. Below are three top tips that could help you put up the perfect lighting in your space. Many are times you will need your space lit up brightly. You need to ensure you have the main ceiling lights in place to light up the room fully when you don’t have natural light. For instance, you need full lights in the kitchen. You cannot cook without full lights. You will need such lights in your living room or bedroom for one thing or the other. Check the wide variety of ceiling lights and chandeliers available on Wayfair. You do not the full glare of full lights at all times. Sometimes all you need is dim lighting that creates a serene and tranquil mood. Supplement lighting pieces will do the trick. You can go for wall lights, table lamps, or island lights. Color counts for a lot when it comes to supplement lighting. You can have the light in your room in whichever color you like. You can choose to have lamps that glow with different colors in your spaces, just to make sure you have a variety. Colored lights are particularly great for your bathroom. Strive to ensure the pieces you get can easily blend in with your other decorative pieces, especially the supplement lights. Their design and build color should match with the colors of your furniture or walls. You do not want anything to look like it's out of place. Wayfair stocks are a lot of lighting pieces. Their collection is from around the world, and the pieces come in different shapes, designs and colors. Your home will certainly look full of life if you have the perfect lighting pieces in place. Take time to explore each space in your home to find out which piece is perfect for it. Your living room is the space where you can just drop on a couch and let out a sigh of relief after a long day. It should be a peaceful and tranquil space. Great décor improves the aesthetic appearance of the living room, which can be a great relaxation therapy. You also want to blow away your visitors with some great décor every time they come around. Living room décor features a lot of different pieces. The pieces you get depend on your tastes and preferences. The following 3 pieces are certainly some of the best when it comes to spicing up your living room. A stylish frame for a family picture or a nice painting always does the trick. These frames liven up your walls. Empty walls are kind of sad. Picture frames come in different shapes and sizes. You can get several depending on the wall space available. Be careful not to crowd the wall with frames though. You do not want your living room to end up looking like a museum. A vase with some flowers (real or artificial) never disappoints. Vases come in different shapes, sizes, and colors as well. Vases can be stylish and colorful, and they will certainly add some elegance to your living room. Everybody loves flowers. You could have real flowers in the vase if you will be able to change them when they wither. Otherwise, go for artificial flowers. Throw pillows are incredible. In addition to supporting your back while sitting on a couch, they are very nice decorative pieces. If you can colorful and stylish throw pillows on your couch, your living room will certainly look like a new place. Wayfair stocks many throw pillows with different colors and designs. Try to match the color of the throw pillows with other decorative pieces in the room. Brightly colored throw pillows will always get rid of the melancholic mood in your living room. These three pieces will certainly work the magic and brighten up your living room. You want your living room to be a space that you look forward to getting into. You can also get advice from Wayfair on how to decorate your living room properly. You will get some very resourceful tips that you can use to liven up your living room. Great décor will make the living room your favorite space in your house. The bathroom is many people’s best spot in the house after they have had a long day. You just want to get in there and have an invigorating bath that will help you relax. Some good personal time in the bathroom can help you blow your sorrows and fatigue away. The bathroom needs to be well equipped for it to be a great place to relax and unwind. There are a lot of pieces you can add to your bathroom to make it the ultimate spot in your house. Of course, it will all depend on the amount of space you have in the bathroom. Below are three must-have pieces, that will have you looking forward to your next bath. The bathtub is arguably the most important piece if you a looking to go an relax in your bathroom. There are many different designs for bathtubs. You can have your cold or warm water bath in the tub after a hectic day. A glass of wine and some soothing music should complete the ambiance you need to have a great and relaxing bath. Wayfair has many bathtubs in store. They come in different shapes, sizes and colors. You can choose one that appeals to you the most. Having a cabinet, chair and mirror at a corner in your bathroom is always a great idea. You can sit there and do your hair, beard, or face. All these activities can be therapeutic if you have had a long day. Anyway, the essence of going into the bathroom is to come out clean and fresh. The cabinet provides you with storage space as well. You can have your soaps and towels well organized in the cabinet so that your bathroom always looks neat. A separate shower spot with some colorful shower curtains always completes the bathrooms. Falling water is therapeutic as well. You can get behind the shower curtains and put on the shower and take a few minutes to unwind. The shower curtains also provide privacy if you have to share the bathroom with someone else. The shower is quite essential as it allows you to clean up quickly when you are in a hurry. Wayfair has incredible shower faucets and curtains. They will have you staying in your shower for ages. 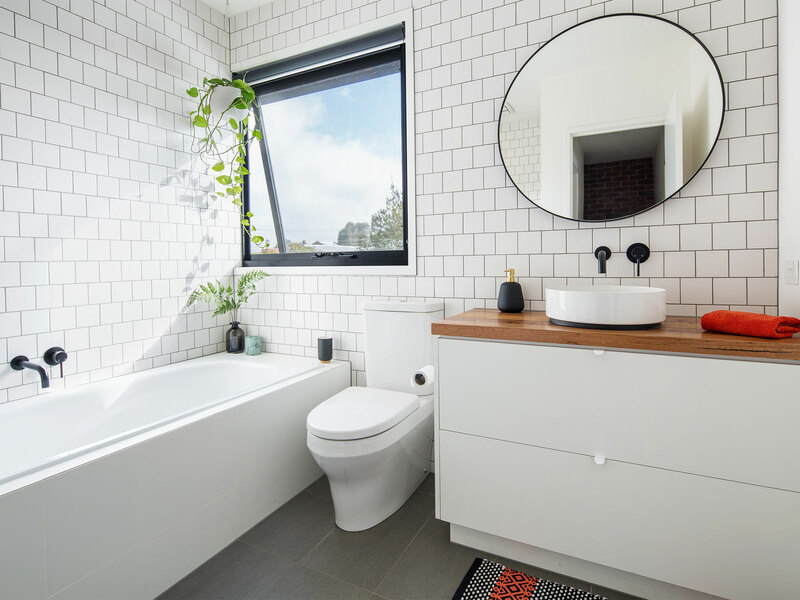 You should make an effort of having your bathroom looking great and inviting. 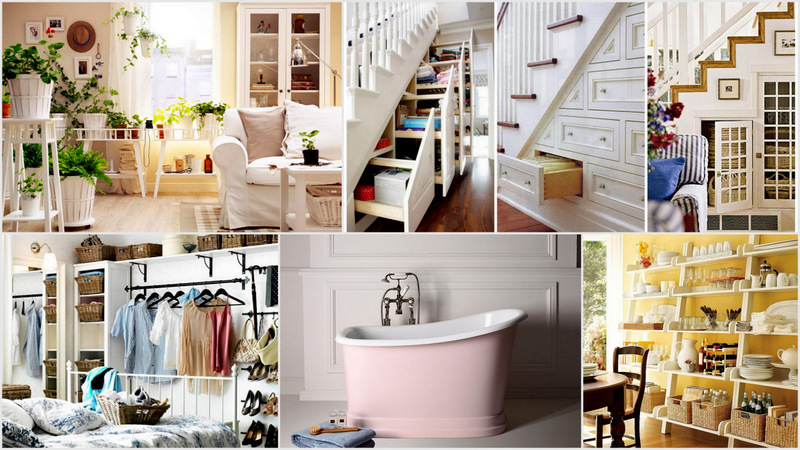 It is one of the most therapeutic places in a home. You will have a lot of stuff you need to store properly in your house. Lack of a proper storage plan will make your spaces look cramped and disorganized. Organized storage will ensure you are able to use the available space properly, and your spaces look neat at all times. Whether it is in the bedroom, living room, or kitchen you need a storage plan for the stuff that is there. For instance, you need proper storage for books in your living room, just like you need one for cookware in the kitchen as well. Below are 3 top storage solutions that always work in all spaces. Cupboards and cabinets are an ideal storage solution for any room. They work perfectly in the living room, bathroom, kitchen and bedroom. You just have to get the right piece for the right room. Many of the pieces will have drawers in which you can store tiny items. These cabinets and cupboards will also add up as decorative pieces to your space. Get well-crafted and colored pieces that will spice up your spaces. Check out the different options for cabinets and cupboards that are available on Wayfair. If space is very limited, shelves are always a great solution. Shelves create storage away from the floor, allowing more floor space. Whether it’s your cookware in the kitchen, or it's your cosmetics in the bedroom, shelves will allow you to keep your stuff organized. You can purchase the shelves on Wayfair, but you will need a carpenter to install them for you if you can’t do it on your own. Shelves are a great way of displaying picture frames and paintings on your walls as well. They will also safely hold any 3D decorations that you may want on your walls. Baskets are a great way of keeping random items organized. Many are times you will have stuff that you are not using but not willing to throw them away in the house. Baskets are a great way of storing the stuff safely. The baskets will ensure the stuff is removed to clear space, but it remains in good condition. It is advisable to have all the stuff in your storage room put in labelled baskets. You will be able to find something easily when you need it later. Wayfair has many kinds of baskets. There are plastics and woven baskets. You can get either depending on what you want to put in them. Rugs are a great way to decorate your floors and keep them warm. Everybody loves to step on fluffy rugs. You can have rugs almost everywhere in your home. There are rugs designed for bathrooms, kitchens, and living room. Colorful rugs will always brighten up the mood in your spaces. Rugs need to be placed strategically so that they can serve their purpose. There are some spaces in your home that should always have a rug. Below are 3 places in the house that will always look great with a rug place over them. Rugs used are centerpieces will always liven up your space, especially if it is a large space. Rugs will make a large space not look so empty. The color of the rug should match with the furniture or walls around it. The rug spices up a room, even if it does not have a lot of items in it. Center rugs come in different designs and sizes. A fluffy and colorful center rug is always a winner. It is even better if the rug has some patterns or flowers. 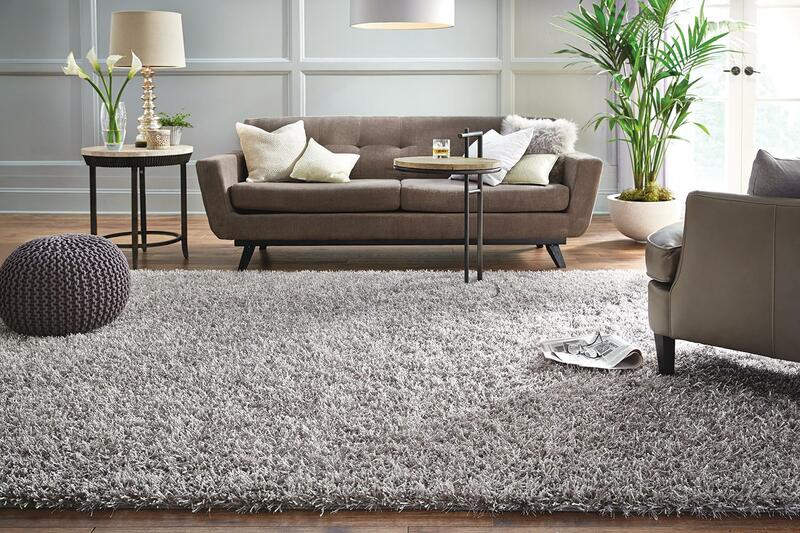 Wayfair has a wide variety of center rugs. You can certainly find the perfect size and color for your space there. Just like in the case of the center spaces, the idea is to ensure the hallways to not look so empty. Having some rugs along your hallways will bring life to them. You might not have much regard for the hallways until you have many guests in your house and they have to stand on the hallways. There are not many ways to decorate a hallway, and rugs are one of the best ways. Some nice-colored and soft rugs will certainly make your hallways look lively. You got to make sure the rugs blend in with the surroundings though. Your patio or porch could use a colorful rug as well. Outdoor rugs need to be strong and tough though. They should be able to withstand the tough conditions outside. Some welcoming rugs will always make your patio look great and inviting. Wayfair has many designs for durable rugs, that are ideal for outdoor use. These rugs are tough and strong. They come in different colors and sizes as well. You will certainly be able to get one that is just perfect for your front door area. Make sure you are able to clean up your rugs frequently. They easily collect dirt and will look awful if left unattended to. The furniture in your office says a lot about you and the office, as well as the kind of work you do. First impressions are very important. Office furniture is one of the things that make a first impression on any visitor to your office. You certainly want your furniture to send a statement of class and professionalism to any visitor that comes to your office. You most likely have a color scheme that you identify your business or company with. That same color scheme should reflect in your office. Many offices will have the company’s logo painted on the windows and walls. Office furniture should blend in with these colors. The furniture need not necessarily be of similar colors, but they should have matching colors. You can only buy the furniture that you have space for. Office desks, chairs and cabinets come in different sizes. You need to have a clear picture of the size of the space available while shopping for office furniture. Make sure the furniture you get will utilize the space properly. Do not get small-sized furniture for a very large office space. Your office will look empty and will not be very appealing to the eye. You will only be able to buy the office furniture that you can afford. Visit Wayfair and compare the various options available and their prices. If your business is a start-up, your office furniture budget might be very tight. Wayfair has a lot of pocket-friendly furniture pieces. These pieces are quality and will still look elegant in your office. If you will be serving client in the office, you might not want to compromise on elegance. You will certainly be able to find a set of office furniture that looks great, without having to dig too deep into your pockets. 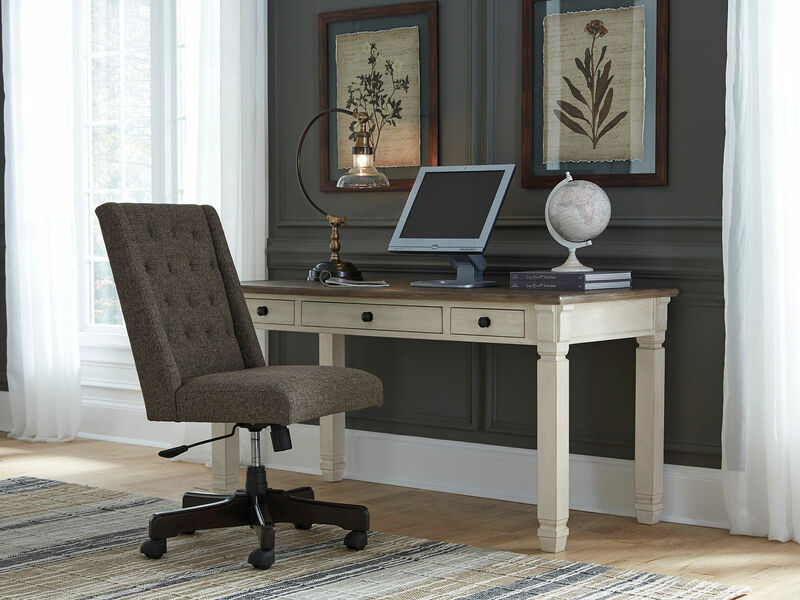 Elegant office furniture will inspire confidence in potential clients that visit your office. You should strive to ensure that your office looks the part. It will be easy to strike deal with partners who have already believe you have class and elegance. To many visitors, your office furniture can be a reflection of the quality of services or products you offer as a business.